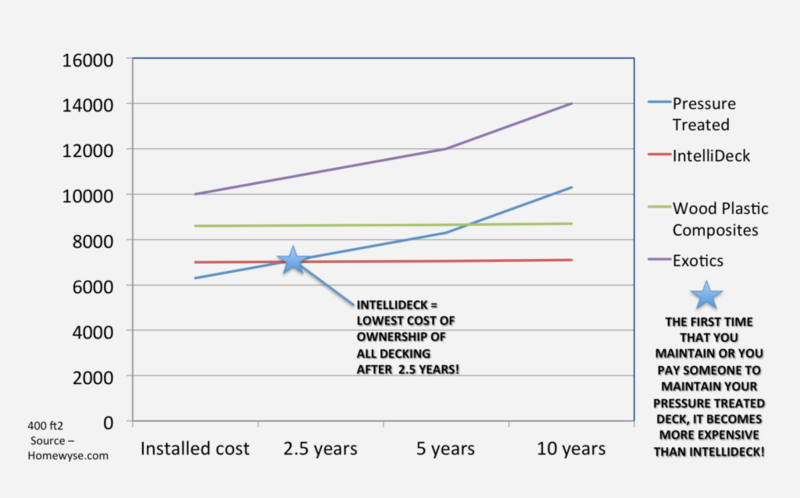 Why Is IntelliDeck The Smartest Decking Solution? In most cases, your IntelliDeck can be installed in one day. That means, your IntelliDeck Factory Trained Installer can begin in the morning and you and your family can begin enjoying all of the features of IntelliDeck by dinnertime. You’ve made a smart investment with us. IntelliDeck is the lowest cost deck in existence. Our work speaks for itself. Check out our current designs now.